You don't have to spend hours creating estimates and invoices. With Zoho Books, creating estimates is a matter of a few seconds. Once they're accepted, convert them to invoices with a click. 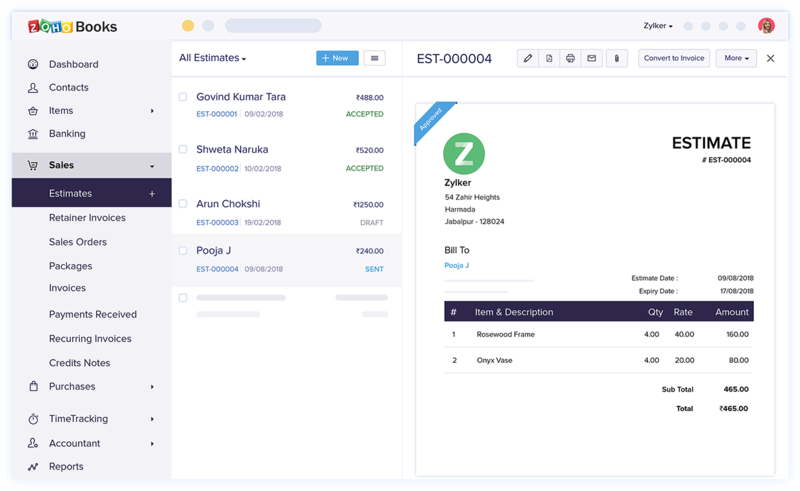 Create estimates on the spot and add contact information, item details, and prices that you've saved in Zoho Books. Send quotes in seconds as soon as a deal is won, no matter where you are. 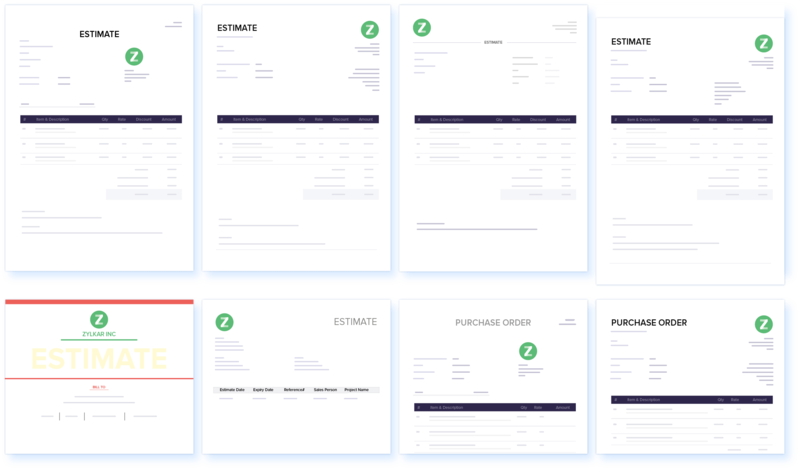 Choose from the gallery of customizable templates to create estimates that reflect your brand. Zoho Books gives you complete freedom to make your templates look just the way you want. Forget lengthy calls and emails to discuss and finalize deals. 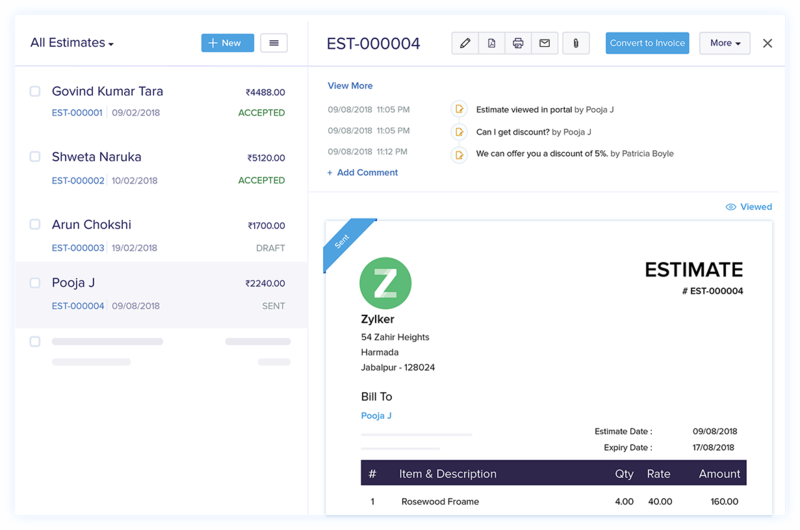 Use the Client Portal to send estimates, get them approved, and collaborate with your clients in real time. Keep track of discounts, negotiations, and status for any estimate with the estimate history section. Zoho Books also notifies you when your client accepts an estimate or makes a comment. 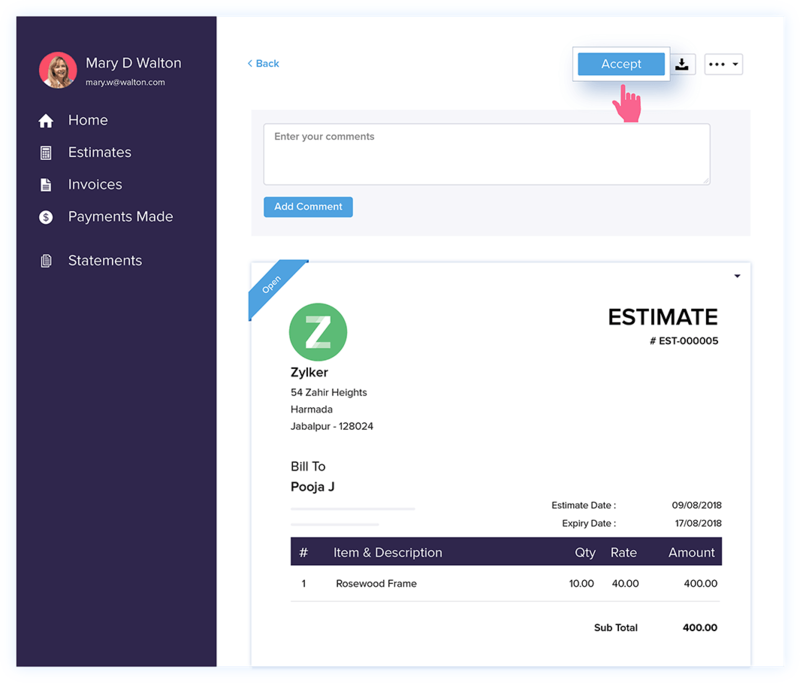 Turn an estimate into an invoice as soon as your client accepts it. 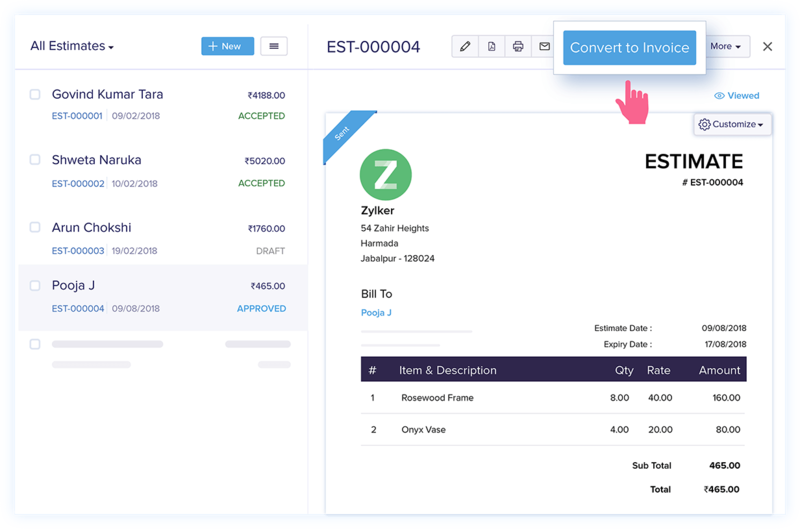 Zoho Books lets you convert estimates to invoices in a click, saving you the trouble of entering the same data twice.